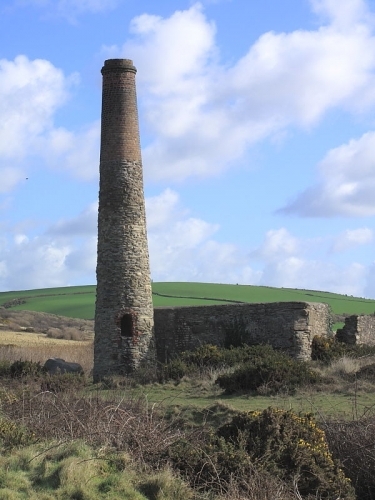 Here in Cornwall, derelict chimneys, also known as Cornish Cathedrals, litter the countryside. To some they may appear deserted and a sad monument to a flourishing past for tin and copper mines but that doesn’t mean they are entirely deserted and useless. Far from it. They can support a rich diversity of wildlife such as this female Kestrel on a stack close to Gwithian Bridge at Godrevy on the North Cornwall coast. Kestrels find these old brick stacks excellent places to nest and use them as vantage points from which to spy for voles and lizards on the ground below. 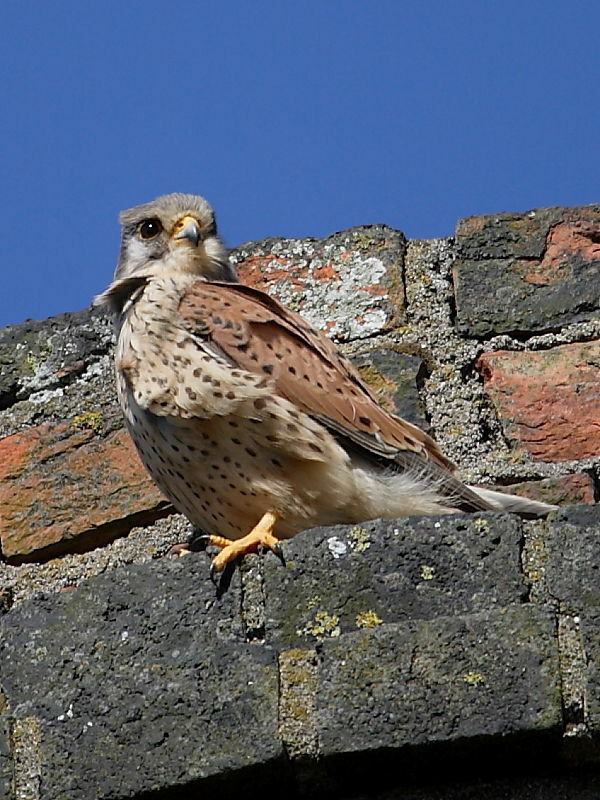 Insight into Kestrel (Falco tinnunculus): These small falcons are the only bird of prey in the UK to almost exclusively hover when hunting. They may be seen hovering over rough grassland throughtout the UK and have also adapted to urban life and can be found in city centres and along motorways verges. Despite their ability to adapt to some environmental changes, more intensive agricultural practices have in recent years seen their numbers in the countryside fall.